Allegra Boverman/Gloucester Daily Times. 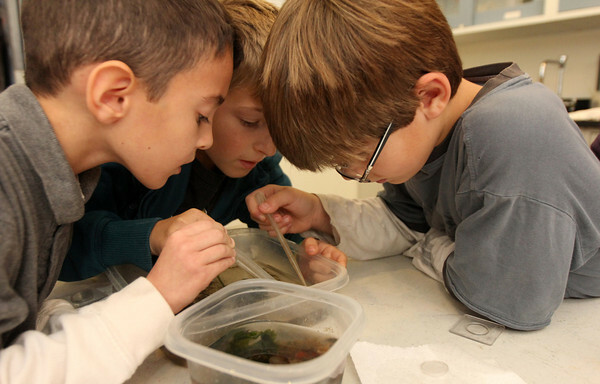 During a visit on Monday morning to Maritime Gloucester with their grade, West Parish Elementary School third graders Austin Parisi, Marcus Martin and Derek Ellms examine water samples from Gloucester Harbor and siphon some out to place on slides for examination under microscopes. They were learning about the various kinds of plankton.